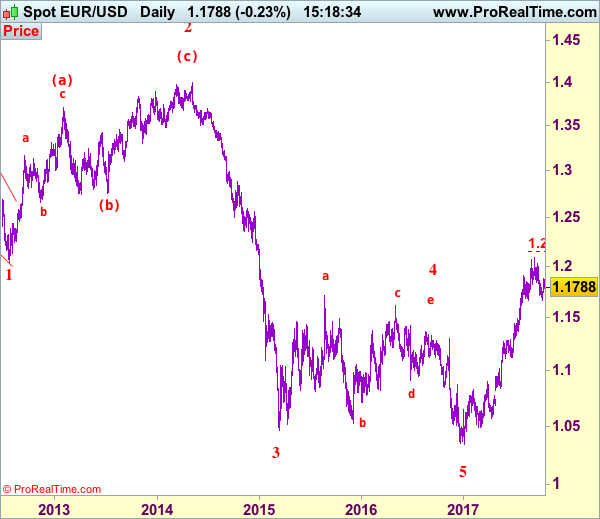 Although the single fell to as low as 1.1669 earlier this month, as euro found good support there and has staged a strong rebound, suggesting the pullback from 1.2093 has possibly ended there, hence consolidation with upside bias is seen for further gain to 1.1900-10, then 1.1950-60, however, reckon upside would be limited to 1.2005 and bring further consolidation. Only break of resistance at 1.2034 would confirm and bring retest of 1.2093, break there would confirm recent upmove from 1.0340 low has resumed for headway to 1.2150-55 (61.8% projection of 1.1119-1.1910 measuring from 1.1662), having said that, loss of upward momentum should prevent sharp move beyond 1.2200-10 and price should falter below 1.2255-60, risk from there remains for a much-needed correction to take place later. On the downside, expect pullback to be limited to 1.1770-75 and price should stay well above said support at 1.1669, bring another rise later. A drop below 1.1669 would signal the corrective fall from 1.2093 top is still in progress for retracement of recent rise to previous support at 1.1662 (previous 4th of a lesser degree), break there would extend weakness to 1.1600-10 and possibly 1.1550-60 but reckon downside would be limited to 1.1500 and support at 1.1479 should remain intact, bring rebound later. 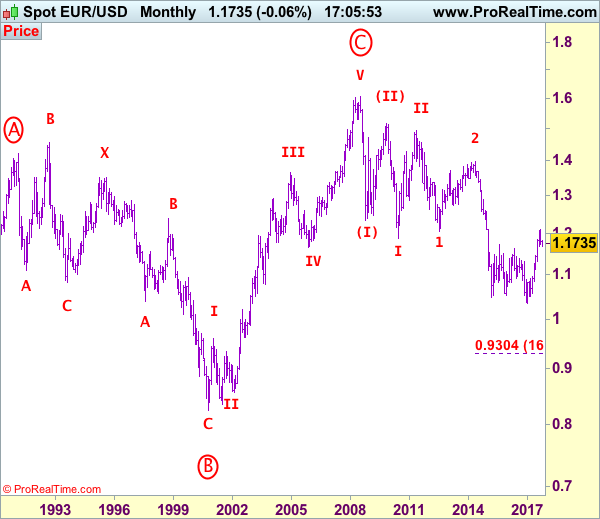 Recommendation: Buy at 1.1765 for 1.1965 with stop below 1.1665.